Teams are organized alphabetically in the menu at the top of the page. To view associated content, either click on a team name or scroll down. * PLEASE NOTE: Players that are written up on the scouting blog were identified by our scouting staff based on the demonstration of notable tool(s) or skill(s). While we do not keep stats, we are watching for standout performers on the mound, at the plate, in the field and on the bases. 10/24 – Combined advanced feel for hitting with hand-eye coordination and bat speed. Went the other way with a riding upper 80’s fastball for a double, and lined one off the top of the RF wall with a wood bat. Showed rhythm to hit and ability to deliver barrel against quality stuff. Instinctual defender at 1B. 10/24 – Advanced defender behind the plate. Sat well and showed strong, sure hands to receive. Blocked breaking balls in the dirt very well. Release times in 2.05 range between innings. Efficient, easy release with effective arm strength. 10/24 – FB sat 80-81 with arm side run and good down plane, topped at 83. Showed feel for a sharp breaking ball with downward action in the upper 60s. Deceptive delivery. Worked quickly, threw strikes with FB and off speed. Has right handed raw power power, swing looks a little stiff but he applies strength at contact and has ability to drive the ball. 10/24 – Quality left handed hitter with combo of feel for hitting and fluid left handed stroke. Has rhythm to hit, and tracked pitches well. 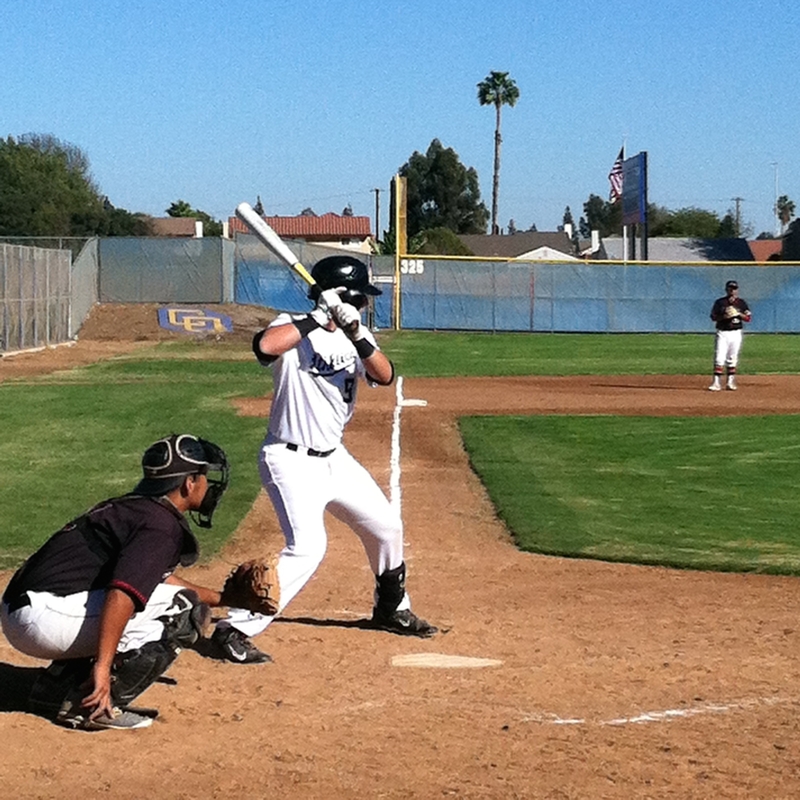 Three quality at bats on the day, included two short singles thru the 4 hole and a sac fly to CF. Solid defender behind the plate. 10/24 – Drove a three-run HR deep to LF, just to the left of the scoreboard and off the net. 10/25 – Tall, lean bodied catcher who is still fairly raw delivery, with good arm strength and a range of 2.02-2.15 pop times. Flashes gap pop from the left side of the plate. Developing barrel accuracy. 10/25 – Scrappy player who has a knack for making plays and coming up with big hits. Line drive approach with a middle approach and consistent barrel accuracy. Good patience at the plate and uses legs well around the bases. Gamer. 10/25 – Strong, explosive, athletic body that works well in the OF. Has plus arm strength (88 mph), but really brings a nice stick at the plate. Has good fence power, showing a middle approach. Overall, good athlete and fairly raw tools. Projectable player. 10/24 – Alex had a great offensive day, showing a smooth, clean stroke with a direct stroke, good balance and consistent barrel accuracy. 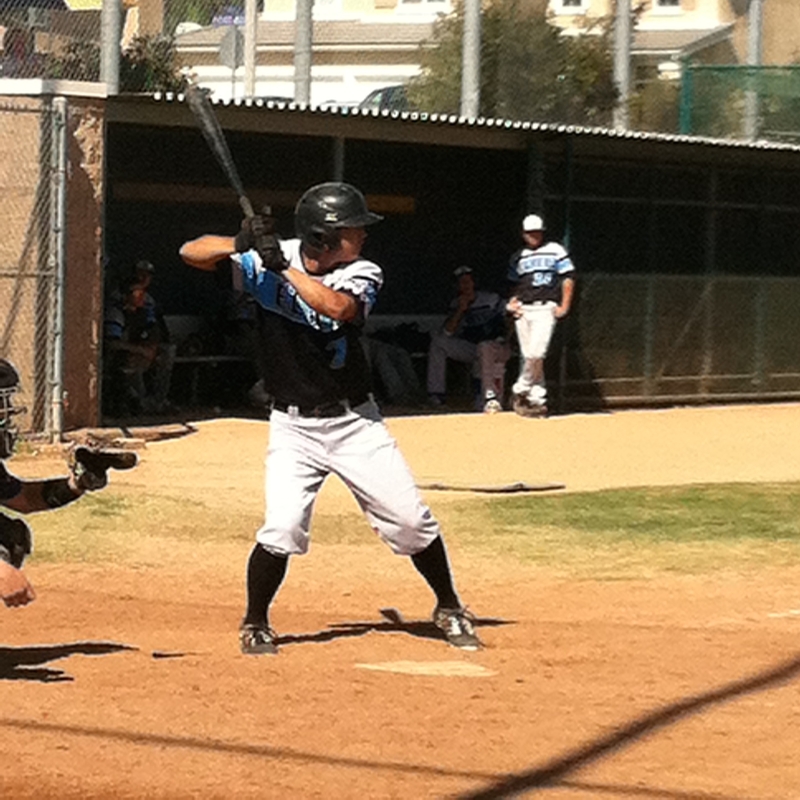 He has a mid-oppo approach with gap power and he is a plus runner with good jumps on stolen bases. He has a plus arm, can finish plays deep in the hole and solid range in the infield. 10/24 – Isac is a very athletic and very raw prospect that stands every bit of 6’3″ 185 lbs. His actions and instincts are in process, but his long levers and high rear give him some projectabiity. He shows a strong arm and raw on his reads, but he shows impressive strides for outstanding range. He has late speed around the bases (impressive on triples) and solid on SB. Offensively, he has solid bat speed with good extension to the opposite gap. Overall, good upside, just needs experience to catch up to body. 10/24 – Eric has a great projectable body, tall, lean, strong and he shows good feet and feel around 1B, with a solid glove. 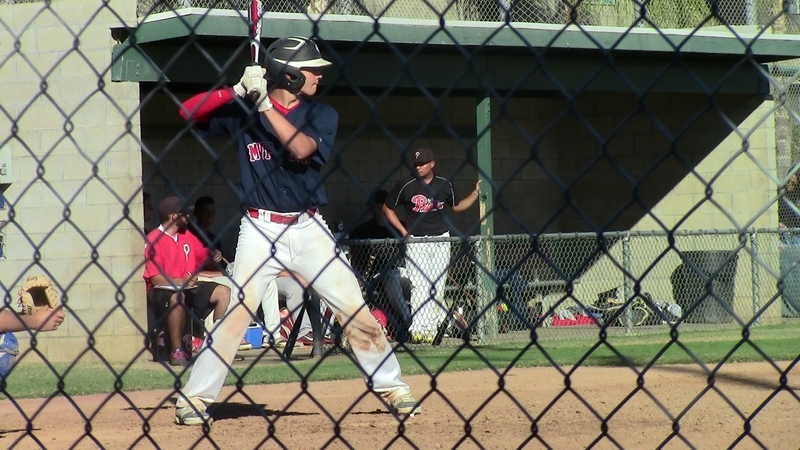 Imposing as a hitter (6’4″ 210ish) with a fluid, on-plane stroke with plus pop to all fields. 10/24 – Steven shows a solid arm and ranges in the 1.96-2.07 range with good carry. His feet are a big asset in throwing and lateral blocking. Has good athleticism as a catcher and shows soft hands with good glove technique to receive and a feel for managing pitchers. He is a switch hitter, that is developing with the bat. 10/25 – Solidly built right hander. Fastball worked between 80 and 84, sat 83-84 most of his outing. Spun an upper 60s breaking ball. Around the plate with FB and secondary. 10/25 – Projectable frame with length at 6-foot-3 and 190 pounds. Talented athlete with versatile defensive ability. Instinctual hitter. Hands worked to zone with quickness. Bat speed thru the hitting zone. Projectable combo of hitting ability and raw power. 10/25 – Compact, solid frame at 5-foot-9 and 175 pounds. Showed standout bat speed. Accelerated the barrel thru the zone. Ball came off his bat with excellent life. Made hard contact the other way and to pull side. 10/26 – Quick twitch athlete with usable offensive and defensive skills. Compact defensive actions with good hands and catch and throw skills. Capable of playing both sides of the bag. Contact type bat. Puts speed in play on the bases. Down the line in 4.3 range from the left side of the plate. 10/26 – Instinctual player with well rounded physical skills. 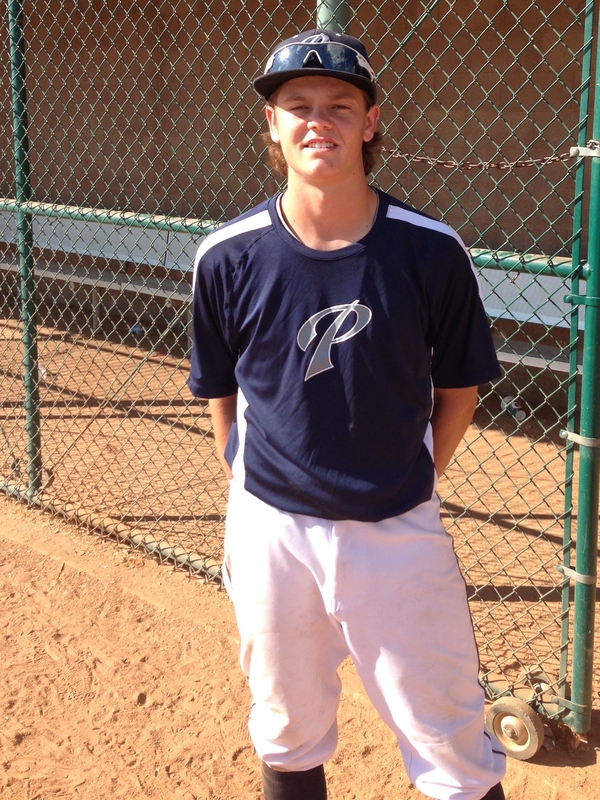 Solid infield defender with ability to play the OF as well, showed catch and throw skills to turn double play. Has feel for hitting and some speed at the top of the order. 10/25 – Strike thrower with three pitch mix. 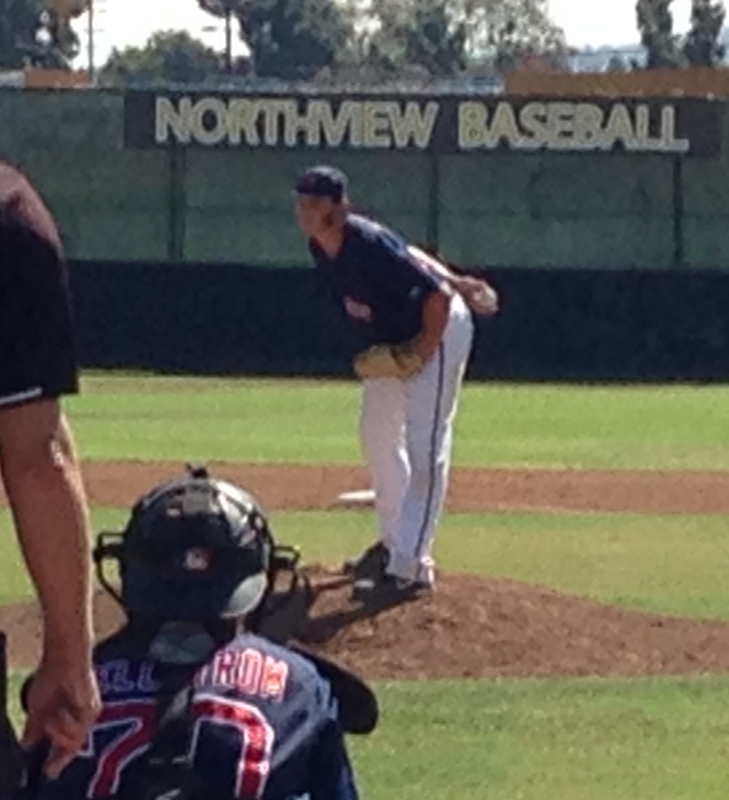 Feel for secondary stuff, and feel for pitching – changed speeds and moved ball both ways. 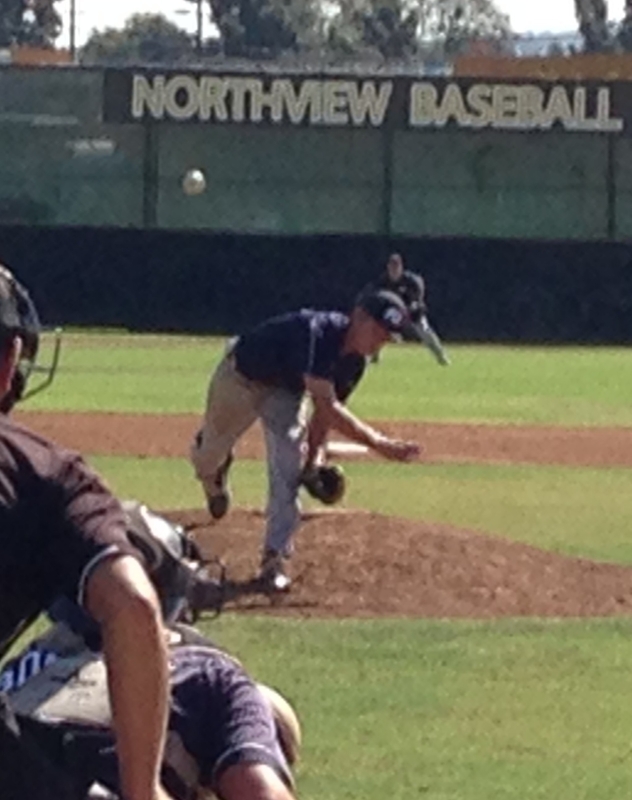 Fastball sat at 84 early on with arm side run, topped at 85. Curve had downward action in the upper 60s, change had tailing action in the low 70s. Saw a few harder breaking balls with slider type life in the mid to upper 70s. 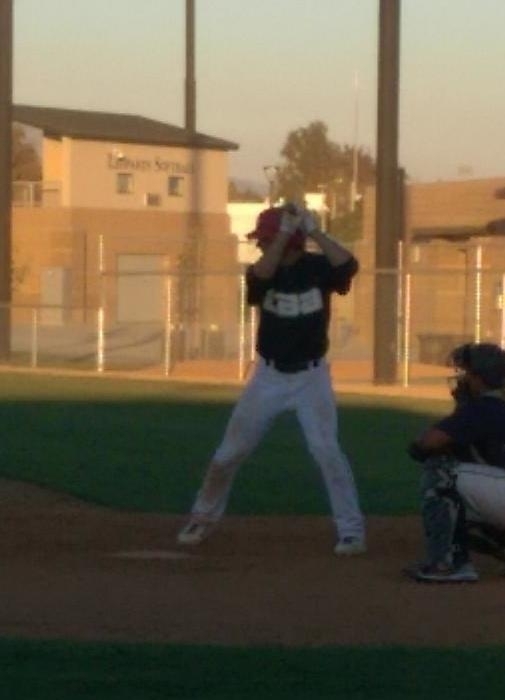 10/25 – Advanced feel for hitting, great presence in batters box. Tracked pitches well. Hands were very quick to contact, accelerated barrel thru zone. Homered to RF with wood bat, lined a sharp single up the middle to drive in more runs in next at bat. Linebacker type build at 5-foot-11 and 205 pounds. Solid behind the plate, bat has maximum value there. 10/25 – Spark plug type offensive player. Short to contact, got extension thru the ball. Made hard contact to all fields. Got on top of high FB away for opposite field single, and lined out hard to both LF and CF. 10/25 – Athletic, quick actions at SS. Compact arm stroke, spun the ball easily across the field. Made a nice sliding play to backhand side. 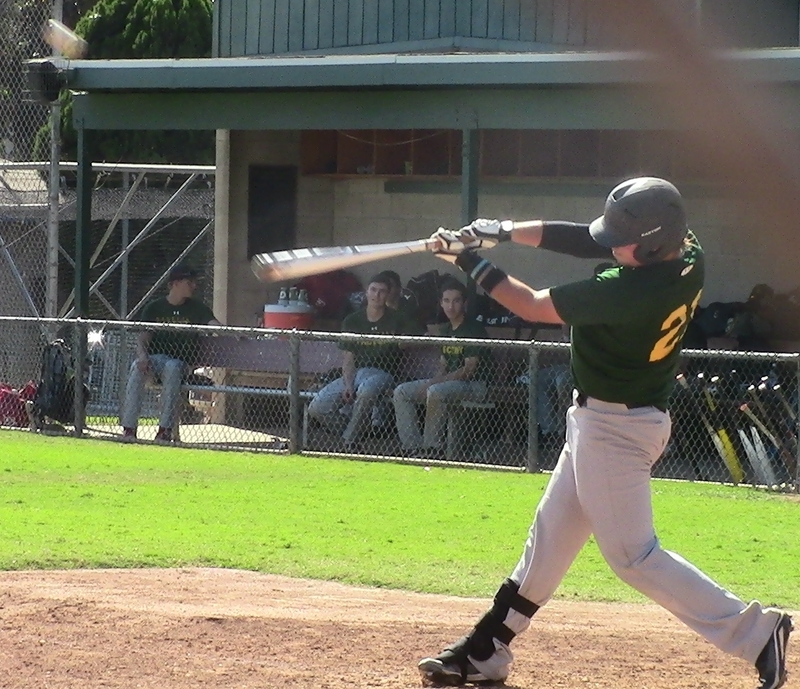 Short, quick right handed stroke with some pop in bat. Drove a double off the LF wall. Talented all around player. 10/25 – Advanced feel for hitting, strong at contact – combo of hitting ability and raw power. Doubled to pull and opposite field sides, narrowly missed HR to LF. Instinctual base runner, made a nice read on pitch in dirt to advance. 10/25 – Well rounded player. 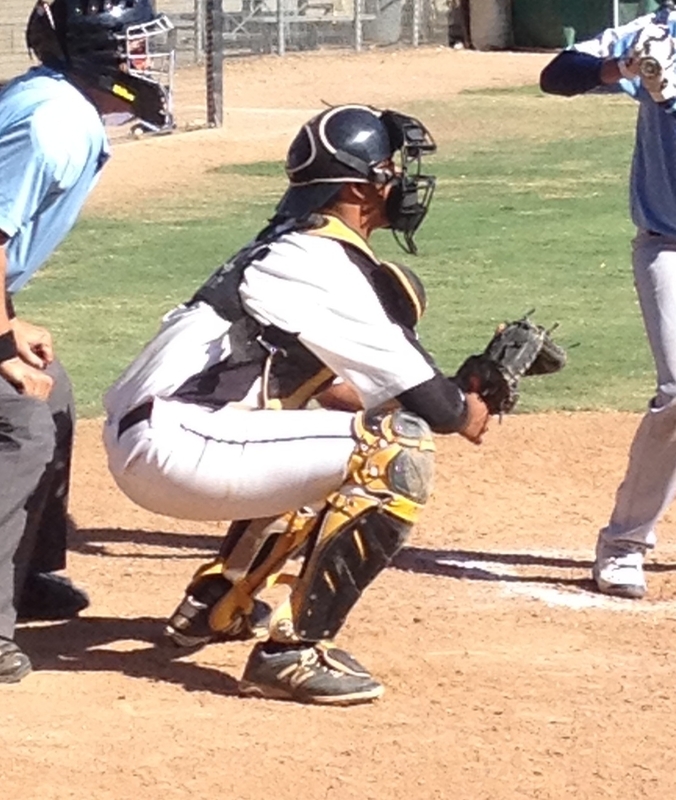 Sat low behind the plate, good hands to receive and moved easily to block. Good hands to hit, worked quickly to contact and the ball got off the bat with good life – even on ones he missed a little bit, created backspin for carry into the OF. 10/24 – Kaz shows very clean hands through the zone, with great balance and good barrel accuracy. Good extension with gap to fence power to all fields. He is aggressive on the bases and an all around good athlete with good baseball instincts. His body is lean and strong. He flashes good fielding skills and strong throws with great accuracy and late carry. 10/24 – Charlie has very nice LH swing, with a good inside-out approach. He shows line drive- gap power with consistency to all fields and a good approach at the plate. 10/25 – Athletic build, quick twitched, good extension, flashed gap power with carry. 10/25 – Short arm stroke with quick release and good accuracy. Pop times ranged from 2.01 – 2.12. At the plate very disciplined, line drive type hitter, stays on top and stays within himself, good balance and swings thru baseball. 10/25 – Aggressive hitter, stays inside, delivers barrel with consistent accuracy. Line drive approach but could develop some more gap to gap pop. 10/25 – Very good defensive SS who seems to always been in the right position, very good body control and a strong arm, good footwork, makes plays in the hole and behind the bag. Relaxed approach at the plate with good barrel awareness and plate coverage, 4.32 to 1B. 10/26 – Talented infield defender with instinctual ability to close on the ball. Ranged to backhand side for nice diving play. Showed compact actions and release to catch and throw. Short, quick right handed stroke. 10/26 – Athletic defender at SS. Ranged nicely to backhand side. Loose swing with ability to accelerate barrel thru hitting zone. Fluid run stride, has length to frame at 6-foot-2 and 175 pounds. 10/26 – Well rounded player with combination of physical skill and feel for the game. Short, quick right handed stroke with some strength thru contact. Simple approach and stroke. Solid defender at 1B. Instinctual baserunner. 10/26 – Left handed hitting infielder with feel to hit. Served a couple of sharp line drive singles the other way with a wood bat. Battled with two strikes, and consistently got the barrel to the zone. Made a nice play ranging to his glove side and slightly off balance. 10/24 – Well rounded young player with obvious skills defensively and with the bat. Efficient and easy release with solid arm strength, release times around 2.05 on the bag. Solid receiver. Short, quick right handed stroke. Aggressive early in the count. Has makings of all around talent at premium position. 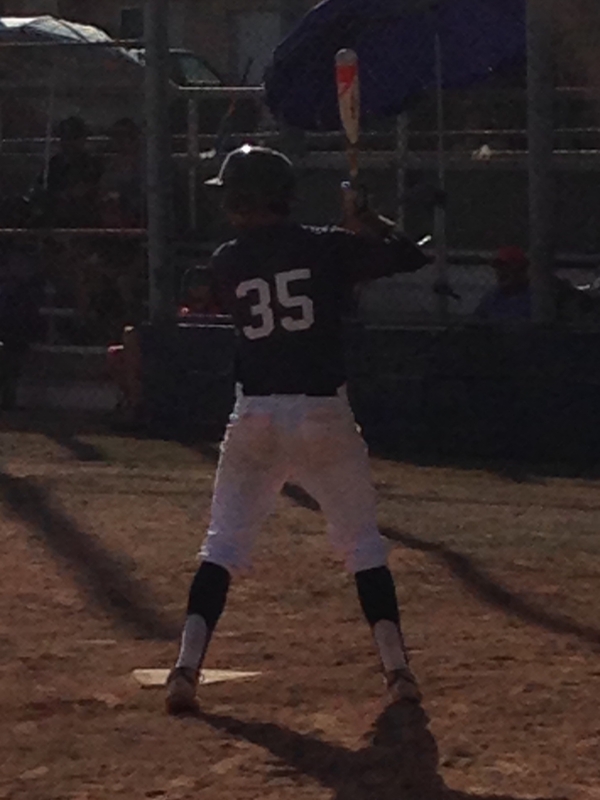 10/24 – Showed hitter actions and a quality left handed stroke. Hands worked well to deliver barrel to both FB and off speed pitches from the left side of the plate. Did not see any right handed at bats. Showed strong arm from RF. Topped at 79 with FB, spun downer curve with near 12-6 shape that flashed depth. 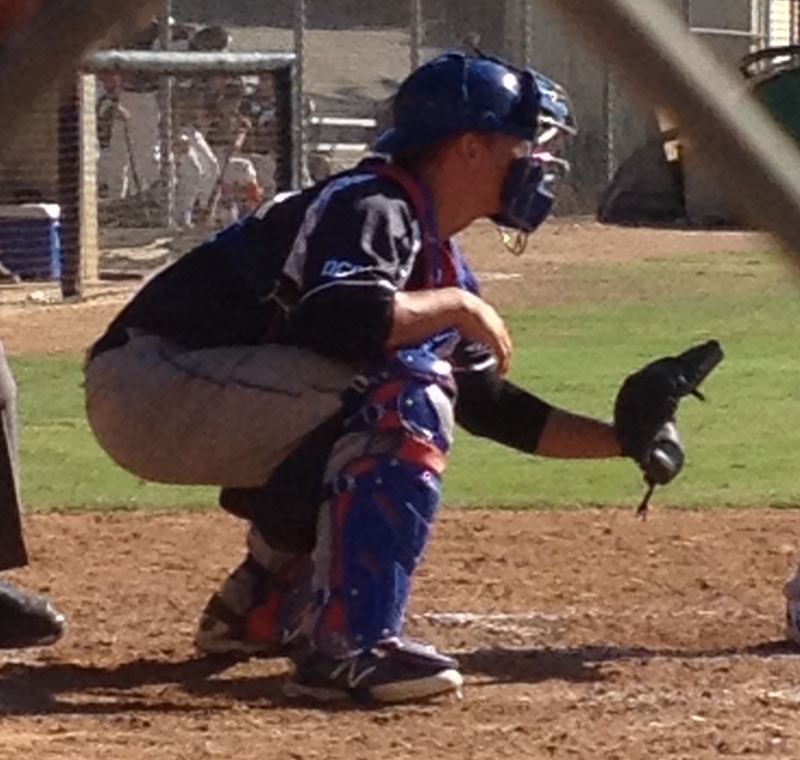 10/25 – Athletic defender behind the plate. Stayed low and moved naturally from a crouch. Good receiver and blocker with catch and throw skills. Quick hands to contact, short right handed stroke with some punch. 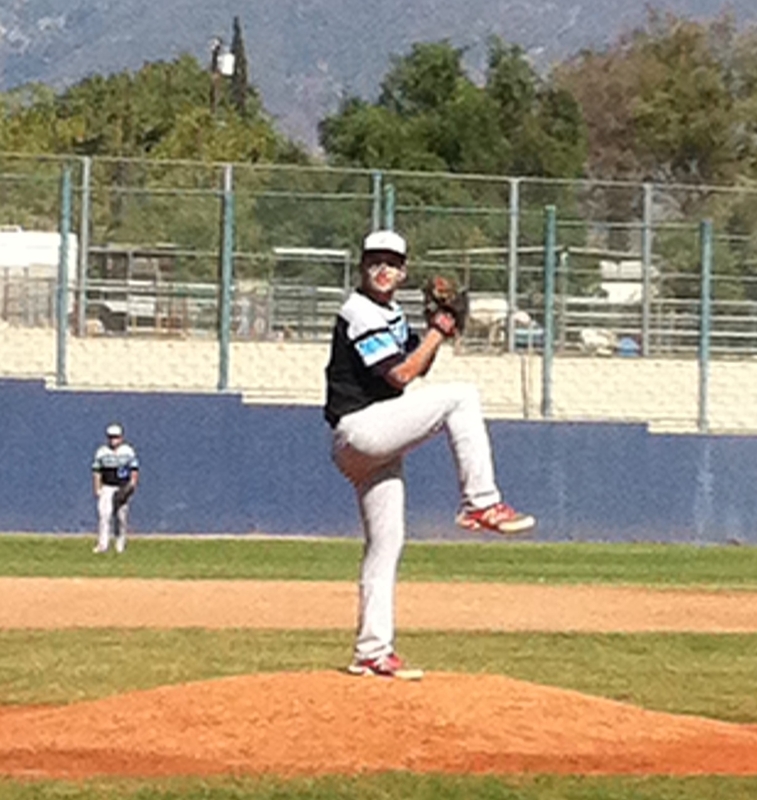 10/25 – Solidly built left hander at 6-foot and 200 pounds. Long arm stroke with depth and extension from the glove and out front. The ball got out of his hand well. Fastball 79-81 at present with some tailing life. Breaking ball was a mid to upper 60s pitch, while CH was in the low 70s. Projectable FB velocity. 10/25 – Good defensive actions at SS. Full right handed stroke with strength thru contact. Made hard contact up the middle and the other way. Talented all around player. 10/25 – Simple delivery, clean arm stroke with arm speed. Fastball had sizzle at 83-84, touched 85. 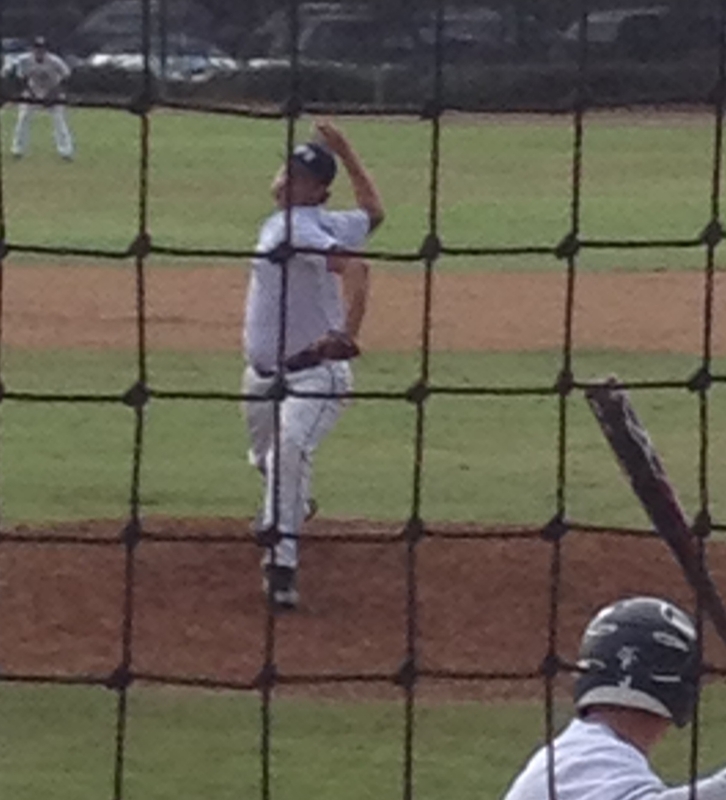 Threw a hard breaking ball in the upper 70s and either a cutter or a CH with cut action around 80. Around the plate with fastball and secondary. 10/25 – Loose right handed stroke. Drove a line drive over the CF head and lined a backspin missile to LF. Got barrel to contact on a direct route and worked it thru contact with strength. Solid defender at 3B. 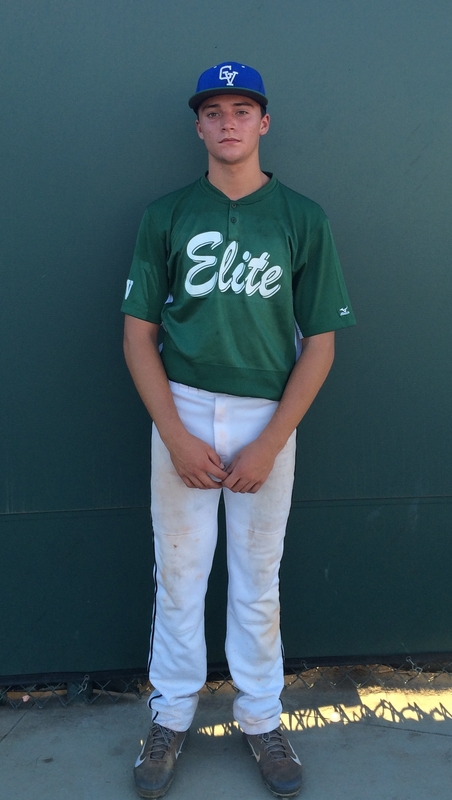 10/25 – Mason is a wiry catcher who shows good athletic ability and can play infield as well. He shows a good arm with good accuracy. His delivery is sound with good extension and feel for release point (1.99-2.12 pop) Receiving, he shows plus feel for base-sway with soft hands and plus glove technique. He shows good anticipation to block and shows good lateral range. 10/25 – Good right handed stroke. Ball got off barrel with life into LCF gap a couple of times. 10/24 – Instinctual player. Heads up base runner. Good left handed stroke. 10/24 – Physical presence at 6-foot-1 and 215 pounds with room to fill out and add strength. Aggressive and full move thru the zone. Got thru a missile line drive single to left field. 10/25 – Lean, athletic body with a smooth LH stroke. Has plus bat path with good bat speed. Flashes gap power and developing consistent barrel accuracy. 10/25 – Solidly built. 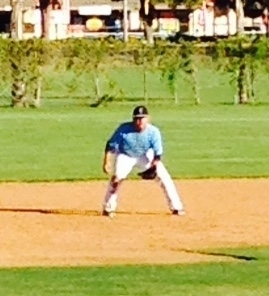 Good defensive actions at 3B, hands worked, showed arm strength across the infield. Talented offensive player with hitting ability and raw power. Ball got off bat with life. Doubled hard down the LF line with wood bat. 10/25 – Very smooth, repeatable high 3/4 delivery, uses a high leg kick to help disguise the ball, works fastball to both sides and sits 85-86 while touching 88, curveball (72-74) is a present plus pitch due to its late break and his plus command of it, shows some feel for a changeup (76-77) and uses it to keep hitters off balance. 10/24 – Large, well proportioned frame. Hits from open stance. Applied strength thru contact very well for a double down the left field line and for a hard line out to CF. Hands work to the zone with ease and thru the zone on plane. Ran down a ball deep in the LCF gap with long strides to cover ground. 10/24 – Well proportioned, projectable body. Consistently found the barrel in three at bats, for a double to the CF side of the LCF gap along with a hard line drive single up the middle. Run and field tools fit a corner OF profile. 10/24 – Live armed right hander with usable two-pitch mix. Fastball had riding arm side life around 86. Topped at 88. Showed advanced feel for 74-75 change with diving arm side run and sink. He added and subtracted with both FB and CH, and attacked both RHH and LHH with this combo. Spun a handful of low 70s breaking balls without much definition to shape. 10/24 – High 3/4 delivery with long limbs, allows him to work down hill. Pounds the zone and works both sides of the plate, FB: 84-87mph, curveball is effective, but loose at 67-69mph. 10/25 – Solid, athletic build with solid strides around the bases. Compact swing with a level path and plus barrel accuracy. Consistent hard contacts to all fields. Plays like a natural OF as he get good reads giving him plus range in CF. 10/25 – Roose is very solid for his age. His throwing abilities are very good for his age. His very consistent and accurate to the second base, sitting right at 2.01-2.05 with good carry on his throws. His feet are quick and he is direct with his body efficiency. He does a clean job receiving and shows technique to stick pitches away. Developing balance at the plate with line drive approach, but still needs to add consistency. Has a good mentality to block, but slightly hard to knees as he kicks back a bit. Promising young catcher. 10/25 – Griffen shows a strong, burly body, looking every bit of 6’3″ 215 lbs. Shows a consistent hack as he does not get cheated. Good balance and fires his lower body well. He works his fence to home run power mostly to the pull side. Has a high ceiling as he works to develop a consistent approach. 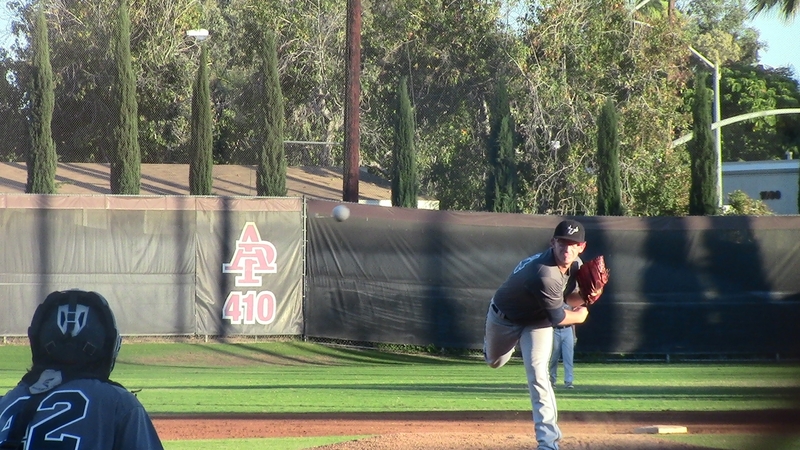 This entry was posted in 2014 Under Armour So Cal Classic, 2014 Under Armour Tournaments and tagged Aaron Roose, Alec Pomohatch, Alex Gallegos, Alex Gonzalez, Alex King, Andy Thomas, Anthony Acosta, Austin Alamillo, Austyn Tengan, Blake Borror, Blake Sabol, Braden Ashmore, Brandon Hoffman, Brian Coffey, Bryson Stott, Bucky Hawk, Carson Gampell, Casey Schwitters, Chance Hroch, Charlie Dysome, Chase Ottofy, Chris Opolka, Christian Moya, Christian Petrov, Christian Straub, Cole Spear, Dailin Lee, Dalton Twining, Daniel Casillas, Daniel Martinez, Danny Zimmerman, David Hoetzlien, David Hughes, Dillon Brown, Domenic Fletcher, Dominic Alamillo, Dominic Smith, Drake Wood, Drew Bailey, Dustin Wickwire, Dylan Leary, Eddie Mendez, Eric Allphin, Eric Wagaman, Francisco Ramirez, Gabe Armstrong, Gannon Miller, Garret Molnar, Garrett Maas, Garrett McKee, Gaston Bastanchury, Grant Ford, Griffen Hagen, Griffin Teishar, Hayden Grant, Hayden Ivey, Hazahel Quijada, Ian Konek, Isac Davis, Isiah Garcia, Jacen Yergensen, Jack Coupart, Jacob Castillo, Jacob Cruce, Jacob Guzman, Jacob Mora, Jacob Williams, Jake Bush, Jake Rosander, James Notary, Jared Drizin, Jason Dicocheo, Jason Fackwell, Jeff James, Jerry Quemada, Jimmy Endersby, Joey Morris, John Zanze, Johnny Szczesny, Jonathan Cornish, Jonathan Duarte, Jordan Arruda, Jordon Wyke, Joseph Hamilton, Joseph Ortiz, Josh Stephen, Julian McDonald, Justin Kottinger, Justin Torres, Justin Watari, Kaz Akamatsu, Kenji Henderson, Kyle Adkins, Levi Zosky, Logan Rukes, Mack Mishou, Mason Zurlo, Matthew Acosta, Matthew Fields, Matthew Poladin, Michael Heir, Michael Odgers, Mitch Casillas, Montgomery Montenegro, Myles Denson, Nick Bero, Noah Kulkanek, Noah Strohl, Omar Ortiz, Patrick Vizciano, Phil Quartararo, Randy Buenrostro, Reed Labar, Reggie Lawson, Ricki Conti, Robert Funk, Ryan Maestas, Ryan Mendez, Sam Wezniak, Sean Fassler, Shea Berry, Steven Frazier, Steven Genera, Tanner Wright, Thomas Berutto, Tim Nelson, Tommy Acuna, Tony Monroy, Travis Hawkins, Trent Covel, Trent Cresap, Trent Pohl, Triston Guzman, Troy Frazier, Turner McDonald, Tyler Baca, Tyler Herrick, Tyler Walls, Vince Fuentes, Zac Pinkston, Zach Barnhart, Zach Dixon, Zach Grech, Zachary McKay, Zack Bowman, Zack Gillissie, Zane chittenden on October 20, 2014 by Team One Baseball.